The advancement in technology has changed the way people used to design their houses. Many people today tend to prefer wall coverings due to the variety available when it comes to patterns, textures, and colors. Are you deciding to redesign your walls but you are not sure whether to paint or cover the walls with wallpapers? You can use maroon embossed wallpapers to give your house a new look that will create a focal point. 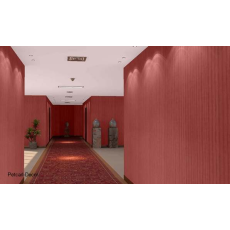 The embossed wallpaper is made of a high quality material that is very durable. It can stay for a period of 12-15 years without peeling off. Have you been looking for a place where you can buy quality and decorative embossed wallpapers? Petcarl-Décor is a one stop shop that you can visit to get what you are looking for. Our prices are very reasonable making our wallpapers the best choice. Whenever you are ready to transform your house into a comfy and beautiful home, try Petcarl-Décor.co.ke.